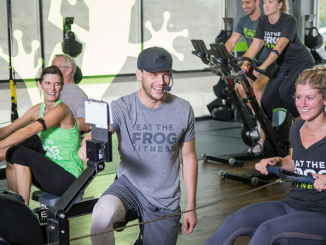 In the go-go nine-to-five grind, striking the right balance between eating healthily and conveniently can be quite the challenge. Twisted Indian Wraps is finding that meaty middle with a simple, yet robust menu of Indian cuisine made with the frantic pace of Canadian life in mind. Twisted Indian Wraps was founded in 2015 by Priya Gogia and Andy Gogia; former franchisees with more than 50 years of combined experience in the foodservice industry. With two locations currently open in Ontario, Priya and Andy are eyeing aggressive expansion as they hope to open Twisted Indian Wraps locations throughout Canada and the United States. 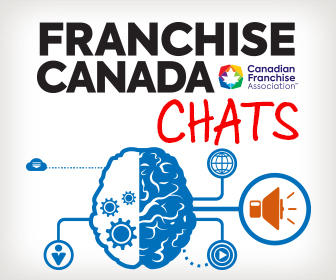 Franchise Canada had the opportunity to sit down with Twisted Indian wraps to gain valuable insight into what their exciting franchise system is all about. What is the Twisted Indian Wraps concept? Twisted Indian Wraps® is a Cana­dian company based out of Barrie, Ontario. We are a fast casual concept serving authentic Indian cuisine. Our mission is to fill the void between formal sit-down Indian restaurants (where a meal experience can take upwards of an hour) and Indian fast food restaurants serving strictly street food. As Canada becomes more and more diverse, the Cana­dian palate has become increasingly sophisticated. As a result, a multi­tude of ethnic food restaurants are opening up in various communities across Canada. In today’s fast-paced world, we tend to compromise on quality and price to accommodate our busy lifestyles, and hence, we make unhealthy meal choices. At Twisted Indian Wraps, we believe it doesn’t have to be that way! We are a company that is obsessed with serving fresh, fla­vourful Indian food that is prepared right before your eyes. We’re serv­ing authentic India fare, but with a “TWIST.” Our wraps are served with a choice of Basmati rice, a meat or vegetarian option, freshly cut veg­etables, and are topped with freshly prepared chutneys (Indian sauces). All of our recipes are prepared in the kitchen using time-consuming pro­cesses and are made ready-to-serve, so, when you come in for a meal, you can be served in under five minutes. Our staff is well-trained to educate guests about our different offerings so they can make an informed deci­sion regarding your order. Indian food is known to involve a lot of different ingredients, mainly flavourful (not necessarily hot) spices. We use the freshest ingre­dients in our restaurant, using the same recipes that the founders use in their home. The cornerstone of the Twisted Indian Wraps concept is “excep­tional Indian flavour prepared slowly, served fast.” We push beyond the norm when it comes to Indian restaurants and other typical wrap restaurants to deliver unexpected and exceptional flavors with high levels of speed and service. Why does the Twisted Indian Wraps concept appeal to prospective franchisees? Indian fast-casual dining is the hot­test trend of 2018-2019, and we believe that now is the right time to invest in a Twisted Indian Wraps franchise. Our Twisted Franchisees receive unparalleled support and training to ensure that they are suc­cessful in all aspects of the restau­rant’s day-to-day operations. It is our philosophy that franchisees are key partners in our company. We believe that happy franchisees and happy employees result in happy guests. And happy guests are repeat guests. To accomplish our goals, we must ensure that every franchisee has an entrepreneurial spirit, manage­ment skills, financial resources, and a commitment to face today´s com­petitive market head-on. Our recipes and processes are designed in such a way that a franchisee can success­fully run all aspects of the business with ease and confidence, irrespec­tive of their background. We support our franchisees in site selection, lease negotiation, construction, training, marketing, design, and ongoing operations. It all starts with the application. Fill out the franchisee application, sub­mit it to us, and we’ll be in touch to help you learn more about why you should invest in a Twisted Indian Wraps franchise! What kind of skills and experience does a franchisee need to succeed with the Twisted Indian Wraps brand? Restaurant experience is always helpful. If you have experience run­ning another type of business that involved working directly with employees and customers, while managing the basic paperwork associated with running a business, that’s a huge asset. However, we do have a comprehensive training pro­gram and support manuals that can help you learn our business. As a Twisted Franchisee, you will also receive ongoing support. What is the process to becoming a Twisted Indian Wraps franchisee? Complete our web form and a Franchise Development Repre­sentative will contact you based on your request. Alternatively, you may contact us directly at info@twistedindianwraps.com or by phone at 705-725-3472. You will meet with our Franchise Development Representative to provide you with the opportunity to ask any questions you may have about the brand, qualifica­tions, and application details as part of the mutual selection process. You will be required to fill out a Franchise Application Form, which will be supplied to you in confidence via email. If you decide to become a Twisted Franchisee, and we approve you as a franchisee partner, you will be provided a Franchise Disclo­sure Document (FDD) containing details on the terms and condi­tions of the franchise. This FDD will be specific to your location. We then start searching for a suit­able location for your franchise, in a territory of your choice. You will choose a store location (with our assistance) that meets your goals. Finally, you will enter into a Fran­chise Agreement (FA) and submit the franchise fee together with other fees required to start the project. We have worked extremely hard over the years to create recipes and systems that once put into place, can be easily scaled and replicated. We have addressed all areas of the busi­ness model, including site selection, supply chain management, cost con­trol, build-out timing, and marketing to ensure that each market location can be easily opened and profitably operated. How has Twisted Indian Wraps achieved its successes to date? 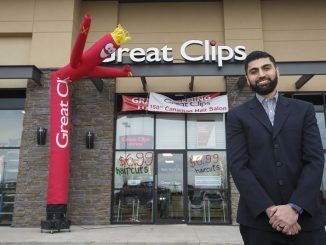 Twisted Indian Wraps opened its first location with great success in May of 2015, in the north end of Barrie, Ontario. Due to popular demand from the local community and our guests, we opened a second location on May 25, 2018, in Barrie’s south end. Our third location is set to open in the spring of 2019 in Oril­lia, Ontario. 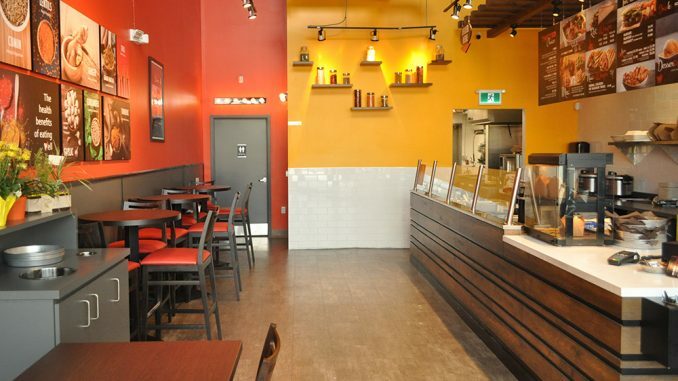 Twisted Indian Wraps has served guests from several cities across Canada and many of them have requested for us to open stores in their cities. Our amazingly fresh, delicious, and unique menu offerings coupled with our consis­tently unparalleled guest experi­ence has created a demand for our brand all across Canada. There is no better time than the present to join the Twisted Family and become a Franchisee Partner!